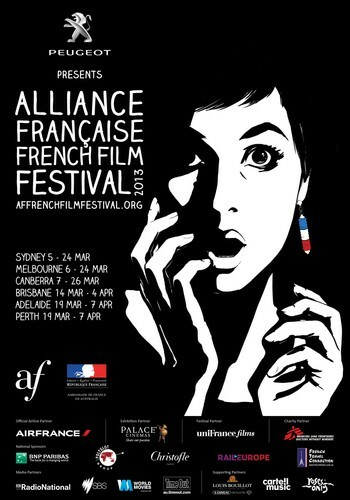 Tickets are now on sale for the 24th annual Alliance Française French Film Festival, proudly presented by Peugeot. This year’s line-up of more than 40 spectacular films is flooded with audience favourites including Juliette Binoche, Audrey Tautou, Diane Kruger, Dany Boon, Catherine Deneuve, Isabella Rossellini, Sophie Marceau, Mathieu Kassovitz, Gérard Depardieu, Virginie Ledoyen, Kristin Scott Thomas, Patrick Bruel, and Cécile de France… just to mention a few! Be sure to secure your tickets early - as always, the most popular titles are likely to sell out well in advance of the Festival commencing. Opening Night Event: Haute Cuisine (Les saveurs du Palais) directed by Christian Vincent - In attendance will be Daniele Mazet-Delpeuch, the former President Francois Mitterrand’s private chef whose life inspired the film. The world of Hortense Laborie (Catherine Frot), a successful chef in Périgord, is tipped upside down when she is appointed as personal cook for the President at the Elysée Palace. Hortense’s trials are based on the extraordinary true story of President François Mitterrand’s private cook, Danièle Mazet-Delpeuch, and her challenges to create culinary art in a world of political intrigue.